NTSB Chair Debora Hersman told the U.S. House Committee on Transportation and Infrastructure Aviation Subcommittee that the pilot of a Piper PA-32 which collided with a sightseeing helicopter over the Hudson River incorrectly read back a radio frequency, and was not corrected by air traffic controllers at Teterboro (TEB). Hersman's statement came during her prepared remarks to the subcommittee Wednesday. "The pilot read back to the controller an incorrect frequency; ATC recordings do not indicate that the incorrect read-back was heard or corrected by any air traffic controller," Hersman said in her statement. "A preliminary review of recorded ATC communications showed that the pilot did not contact EWR (Newark Liberty International Airport) before the accident. We are reviewing ATC tapes for other frequencies to see if the pilot was attempting to contact EWR on the incorrect frequency. In any case, about 11:53:17, approximately the time of the accident, the TEB local controller contacted the EWR controller to ask about the airplane and was told that the pilot had not called. There are no known additional ATC contacts with the airplane." 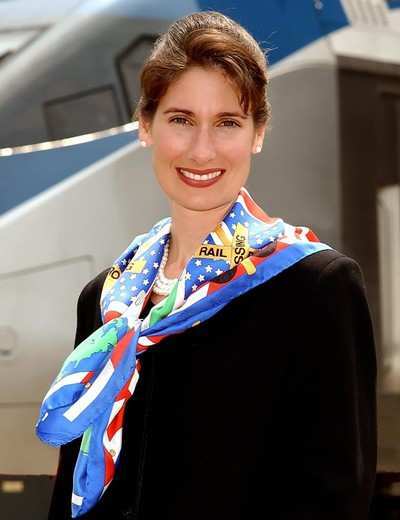 But Hersman also indicated that the Hudson corridor is very busy airspace, and while there have been a number of near-collisions in the region, pilots generally transit the area safely. "Recent FAA traffic estimates indicate that over 200 aircraft a day pass through the Hudson River class B exclusion area," she said. "The Hudson River class B exclusion area and associated transition procedures have been in use for more than 30 years, and until the accident, the safety record for operations in the area had been good. The NTSB has no record of previous collisions between aircraft operating in the Hudson River class B exclusion area." "A review of the FAA Near-Midair Collision (NMAC) database and the National Aeronautics and Space Administration Aviation Safety Reporting System (ASRS) database revealed 11 reports of NMACs between aircraft in the area since 1990," she continued. "Only one report was filed in the past 10 years. Although ASRS reporting is voluntary, the number of reports received is very low relative to the number of flight operations through the Hudson River class B exclusion area." Hersman reiterated NTSB's proposed changes to the class B airspace in the Hudson River corridor. "On September 2, 2009, the FAA announced plans to modify the airspace over the Hudson River," she said. "The NTSB will review the changes, once they are completed and published, and determine if they meet the intent of our recommendations."